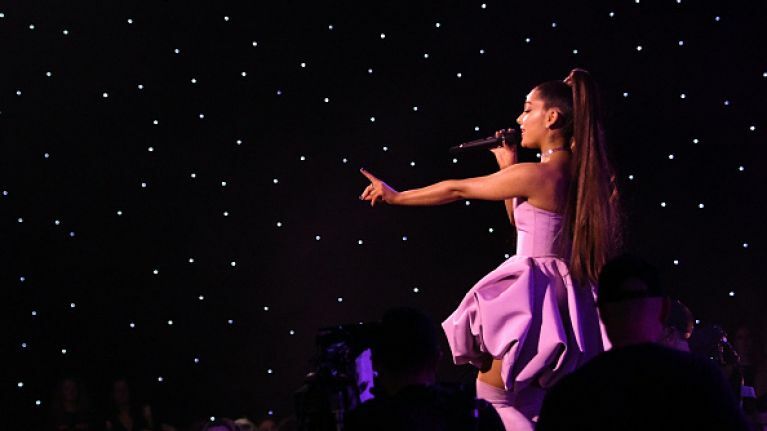 Ariana Grande pretty much broke the internet late last year with her astronomically successful break-up song 'Thank U, Next,' and nobody can dispute that the track was a really stellar pop hit. Fans had been waiting with bated breath for the follow-up and this morning (18 January) Grande delivered with '7 Rings.' The track is a departure from her usual pop style and actually features her rapping over a trap beat for quite a lot of it. '7 Rings' features Grande rapping the words "you like my hair? Gee thanks, I just bought it." Nokia's song mine also features a chorus of "It's mine, I bought it, it's mine, I bought it" while referring to her hair. Nokia has posted a video on Twitter saying: "Does that sound familiar to you? ’Cause that sound really familiar to me," continuing, "Ain’t that the lil song I made about brown women and their hair? Hmmm... sounds about white." Check out the two songs for yourself and see if you can hear the similarities. Grande's song also samples the classic musical number 'Favourite Things' from The Sound of Music. It's not clear yet whether Rodgers & Hammerstein plan to complain but, to be fair, they are both long dead.